Action Alert: Stop anti-immigrant budget amendments & fight for key investments! 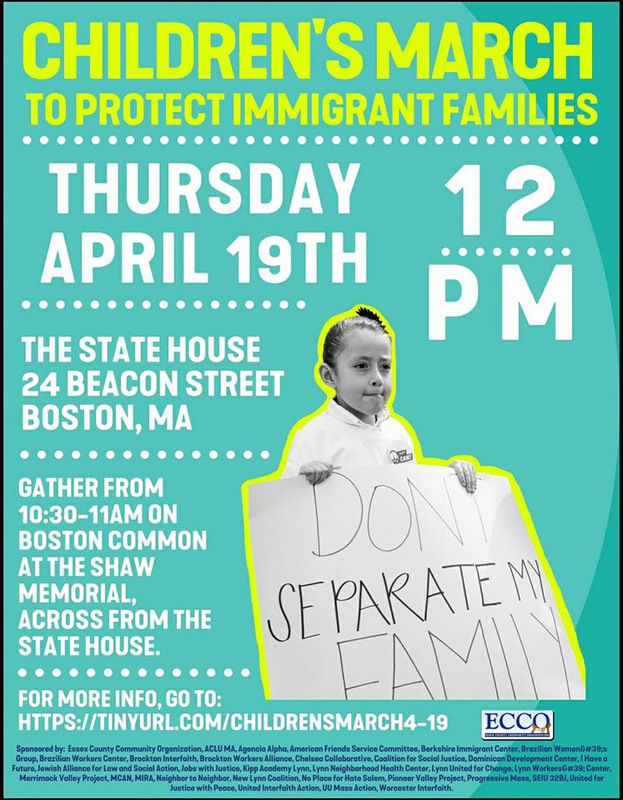 The Massachusetts House will debate its proposed FY 2019 budget next week, including several amendments affecting immigrant communities. Time to call your Representative! It’s budget time in the state House of Representatives, and that means tons of work for advocates. In the coming days, we need to fight not only for crucial investments in education, workforce training, citizenship and other priorities, but also defeat efforts to pass anti-immigrant bills via the budget. If you’re wondering how much this matters, here’s a stark reminder. You know the drastic changes to driver’s license rulesthat went into effect on March 26? Those were passed as a budget amendment. Last year, in Lunn v. Commonwealth, the Supreme Judicial Court found that state law does not permit law enforcement to hold someone based solely on a civil immigration detainer. Governor Baker introduced a bill to change that, but it was sent to study after legal experts raised concerns that it was overbroad, contrary to the Governor’s stated wish to target only serious violent offenders, and it was deeply flawed from a technical perspective. Amendment #508 is an attempt to pass the Governor’s bill through the budget. Please call your Representatives and urge them to defeat it – and please call Speaker Robert DeLeo at 617-722-2500 as well! Legislative staff don’t need you to get into details about why you oppose the amendment, but here’s a refresher if you’d like one. When speaking to your Representative’s office, also tell them to defeat amendments #113, #227 and #347. The latter two would create even broader authority for police to detain immigrants, and #113 and #227 would punish the 31 cities and towns that have adopted measures to limit police participation in immigration enforcement. We don’t believe that #113, #227 or #347 are likely to pass, but it’s still good to register opposition. Task 1A: Protect immigrant families! While you’re at it, please remind your Representative that Massachusetts has yet to do anything to protect immigrants in this legislative session! There are three key provisions from the Safe Communities Act that have broad support and have been endorsed by the state police chiefs’ associations. Ensure that police don’t people about their immigration status, unless it’s required by law. The State Police already have this policy; let’s make it the law across our Commonwealth! Ensure that immigrants in police custody know their rights, including that they can call a lawyer before they speak with ICE, and that they don’t have to answer any questions about their status. End so-called 287(g) collaboration agreements between local sheriffs and ICE, which deputize law enforcement as ICE agents at Massachusetts taxpayers’ expense. Task 2: Support vital investments in immigrant integration and healthy families! Our budget advocacy isn’t all defensive – we also need to support legislators fighting to increase funding for crucial programs that benefit immigrant communities and all Massachusetts families. Immigrants and refugees who experience domestic violence and sexual assault often don’t get the help they need, due to language and cultural barriers, lack of information, and sometimes fear of deportation. This amendment would boost funding for DV/SA services by $3.5 million, to $37.6 million, to increase access to culturally and linguistically appropriate crisis intervention and safety planning, legal services, and advocacy. Over a third of Massachusetts workers need adult education and/or English classes, but funding for ABE/ESOL has declined 30% in real terms since 2001. Nearly 19,000 people are on wait lists, including nearly 16,500 for English classes. This amendment would boost funding by $1.9 million, to $34.5 million. CNAP helps low-income green card holders acquire citizenship, providing legal assistance and integrated English and civics classes to ensure success on the naturalization exam. Demand for the protections of citizenship has grown 23% over the last year, but funding remains stalled at pre-2009 levels. This amendment would boost funding by $100,000, to $500,000. Join Yemen Anti-Famine team at "Raytheon Walk for Hunger"